BmiSmart I-Remove a diet pill manufactured in Germany by InQpharm. It’s only available in the USA and the Americans are told it’s the #1 weight loss product in Europe. However, here in the UK, the same product is sold under the name XLS-Medical Fat Binder and the claim that it’ #1 is untrue. The #1 spot in Europe is arguably occupied by PhenQ and, although nothing lasts forever, it’s unlikely to be ousted by a formulation that offers such limited abilities. Good fat binding products certainly have value as a weight loss aid, but the best diet pills are those that offer dieters multiple support instead of only help in one or two areas. The formulation of ingredients used in BmiSmart I-Remove and XLS-Medical Fat Binder is only capable of reducing the absorption of dietary fat. Users may also experience some degree of appetite suppression but, should this occur, it is better seen as a bonus because it will only be a reaction to the presence of blocked fat. What is BmiSmart I-Remove and How Does it Work? Fat binders contain ingredients the body cannot digest. Fat binding ingredients are also capable of attracting dietary fat and bonding with it. The body is no more capable of processing the resulting compound that it is of digesting the fat binder, so the compound passes through the digestive system unprocessed and no calories are released. A gram of fat contains 9 calories, so fat binding products can help people to lower their daily calorie intake. However, they offer the most benefit to people who persist in eating too much fat and anyone who is making a serious effort to lose weight should not be doing this in the first place. The presence of the combined fat and fat binding ingredient may promote a feeling of fullness in the stomach, but that’s a secondary feature and its unlikely to offer a noticeable difference in appetite unless the fat binder has bound a large quantity of fat and, as already stated, people who are serious about losing weight should not be eating lots of fatty food. The European version of BmiSmart I-Remove is a quality product. 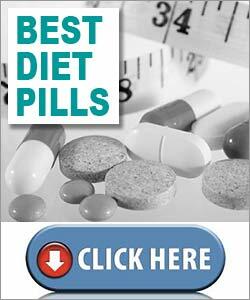 There is no getting away from that, but experts state the best diet pills are the ones that offer support in multiple areas including hunger support and boosted metabolism. InQpharm’s formulation cannot provide this and it’s also worth noting it’s one of the company’s older products. Although it’s still available, XLS-Medical Fat Binder has been superseded by XLS-Medical Direct Fat Binder and then again by XLS-Medical Max Strength. The latter is alleged to be 33% more effective than the original product. BmiSmart I-Remove only contains one active ingredient. It’s a patented fibre complex, called Litramine, that’s obtained from the flesh of Opuntia ficus indica cactus plants (also called nopal). Research suggests Litramine may help reduce fat absorption by 28%, but people who are eating too much fat would be far better off reducing their fat intake. The bound fat has to be passed from the body with the stool and, when large amounts of undigested fat have to be passed, it can make the stool extremely soft and greasy. The presence of the bound fat also has a laxative effect that can be so powerful it may result in soiled underwear if the fat binder is given too much fat to work upon. Usage Instructions – Two tablets are required, with liquid, three times per day and should be taken immediately after meals. It’s important not to wait any longer than 60 minutes before eating and the manufacturer recommends a usage period of at least 30 days. BmiSmart I-Remove is not intended for use during pregnancy or while breastfeeding a child. People who have existing health issues should get a doctor’s approval before using any brand of weight loss supplement. The manufacturer warns customers to drink at least 8 glasses of water throughout the day while using this product as failure to do so may cause stomach discomfort. It’s possible to buy BmiSmart I-Remove from many American stores can also be purchased online via Walgreens and Lucky Vitamin. The product is not available here in the UK, so those who are keen to get hold of it will have to by XLS-Medical Fat Blocker instead. BmiSmart I-Remove does not have a money back guarantee. 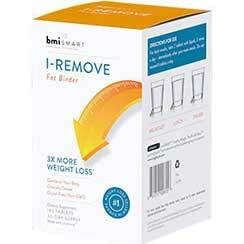 Fat binders like BmiSmart I-Remove help to reduce the amount of calories the body receives so they have some value. However, people who are eating a low fat diet will notice very little difference because 28% of a little bit of fat is not much at all. People who are eating very high fat diets would obtain the greatest calorie reduction, but they would still likely be receiving far more calories than they needed, could still gain weight rather than lose it, and would also run the risk of having to spend extra time in the toilet and, possibly, soiling their underwear. A better option would be to eat a healthy diet, get regular exercise, and use a multifunctional diet pill capable of controlling hunger urges and accelerating the fat burning process. Some of the better pills of this nature offer fat blocking as one of the primary features, but they don’t rely on it entirely and, because they have more to offer, dieters using them invariably obtain better results.